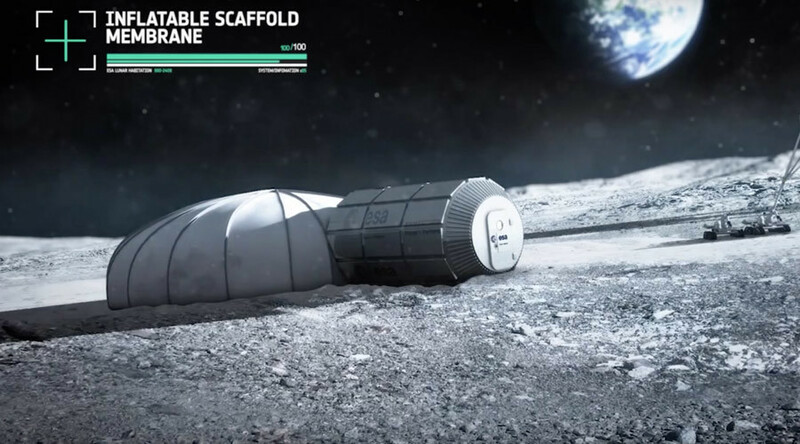 Mankind could soon be living in 3D-printed moon pods, with the European Space Agency (ESA) currently exploring inventive ways to set up a permanent lunar village. It has been more than four decades since anyone set foot on the desolate space rock. What was once the focus of man’s early dalliance with space flight has since played second fiddle to a fascination with Mars. But the ESA’s interest could make the moon trendy again. Опубликовано RT Play 21 октября 2015 г. In a recent ESA mini-documentary, Jan Worner, director general of the European Space Agency, said he intends to build an “open station” on the moon. The base would be run similarly to the International Space Station, with astronauts from leading space nations such as the US, Russia, China, India and Japan regularly visiting the satellite. An Irish researcher at the ESA, Aidan Cowley, is working on ways to build domes capable of sheltering moon dwellers from extreme temperatures and space debris. Using 3D printer technology, the ESA research fellow explains how “an inflatable dome or bladder type system” could be inflated on the moon. The construction, completed by teams of lunar rovers, would result in an igloo-like dwelling with compacted moon soil forming a protective layer over the living quarters. Design firm Foster + Partners are one of the companies working to make the space village dream a reality. A video guide to the plan published by company suggests the base would be located near the moon’s Shackleton Crater, a site with almost constant sunlight. Metals and minerals already found on the moon could be the key to sustaining life there all year round. “The moon is full of resources,” said Bernard Foing, of the International Lunar Exploration Group. While it is unclear when any construction work could start, the project is part of a joint 2020-2030 partnership with global space agencies to begin sustainable missions on Earth’s natural satellite. A conference held in the Netherlands last year saw academics, engineers and geologists identify the moon as the “next destination” for human and robotic exploration.